How to make the German, Chinese, South Korean and Japanese national teams playable in Football Manager 2019. As with previously installments of Football Manager, FM19 has certain files that will prevent you from managing certain national teams and from current real players showing up in their rosters due to licensing issues. Fixing this is relatively simple. Simply delete these 3 files and create a new savegame, or wait until the next time international squads are announced on your current savegame. Note: If your saved game was started before the 19.1.0 patch, you need to repeat the steps above to the 1901 folder as well. National teams of Germany, China, South Korea and Japan become playable. Enable player pics for national teams of The Netherlands and France. Fix real name of Oliver Kahn (he's with nickname Jens Mustermann). Fix names for various Danish, Swedish and French competitions. Restore real players for the team Albirex Niigata (Singapore). Fix colors and names for various clubs, stadiums, cities in Asian countries. 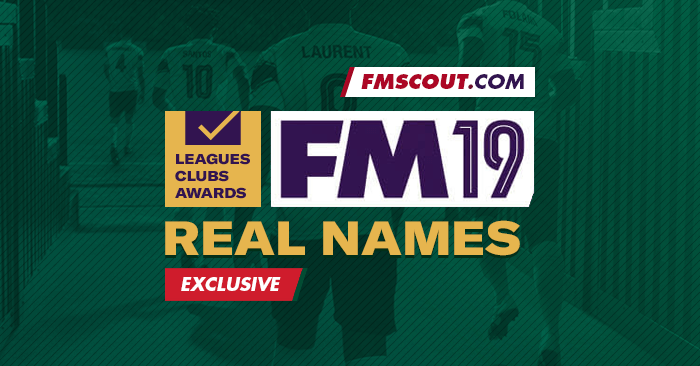 Our exclusive FM 2019 Real Names License Fix updates competitions, clubs and awards with their real names, but also fixes the problems with the aforementioned national teams. Can anyone confirm if this has worked in the beta please as I've done everything i have read and know from previous FM series and it's not working? You are reading "Unlock Germany, China, South Korea and Japan national teams in FM19".